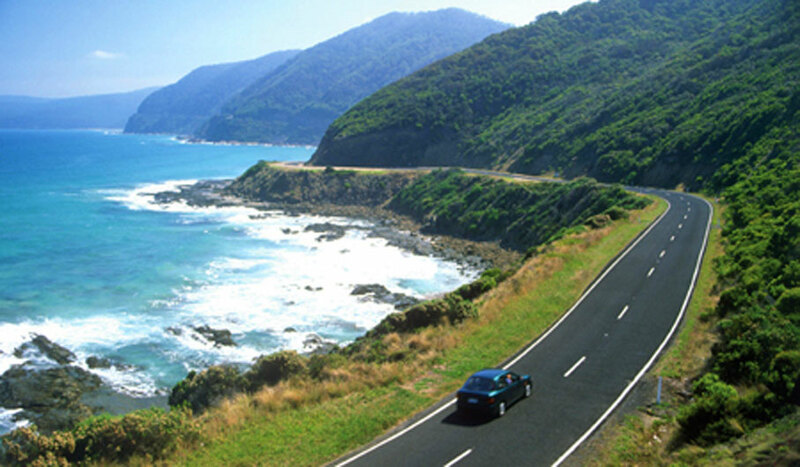 One of the best driving experiences in the world: Victoria's Great Ocean Road. Former Open Road editor and author of On the Road 40 Great Driving Holidays in Australia, Lee Atkinson feels most at home when she’s away from home. As her recent guidebook attests, she could point out dozens of top-notch drives in this touring-mad country. We’ve asked for her top ten. Readers, start your engines . . .
We all know that Australia is a big country. And that means lots of driving. And an Australian road trip can be short and scenic (such as the Great Ocean Road) or biblical in it’s scale and adventure such as the Savannah Way or Across the Nullarbor. Each of these drives has been chosen in conjunction with the Australian Traveller editorial team because they each offer a great Australian travel experience. Be it from the best of the outback, to the stunning rainforests of Tasmania. The only thing we can guarantee is that each of these road trips is one of Australia’s great travel experiences. But each one for different reasons. Read more by following the links below.